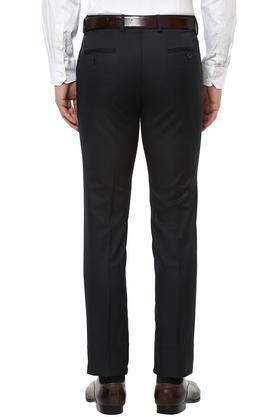 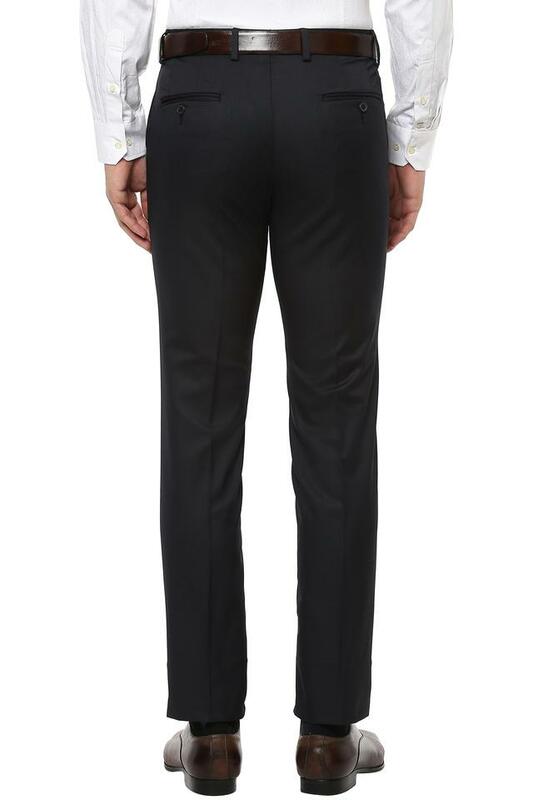 Rank high on the fashion metre by wearing this pair of formal trousers from the house of Stop. It has a solid pattern, which lends it a classy look, while the five pockets further add to the design. 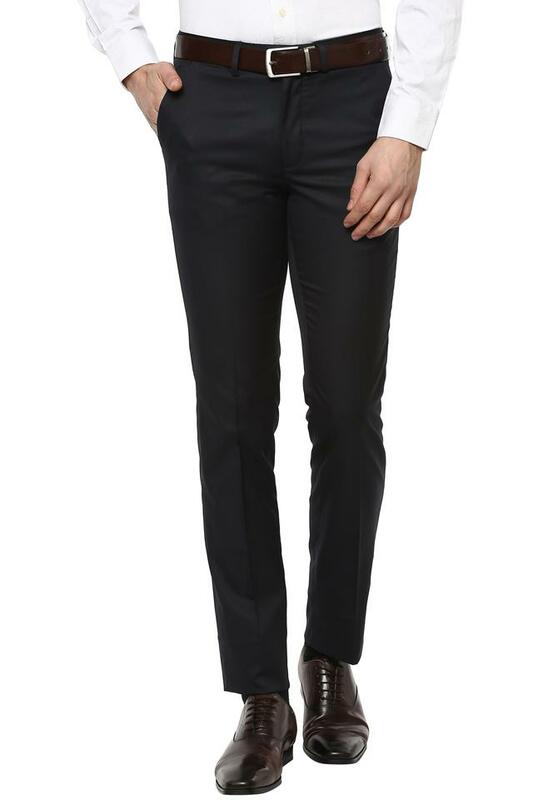 Besides, it has a fixed waistband with a zip fly closure that makes it convenient to wear. Add this pair of trousers to your clothing collection and get complimented for your choice. 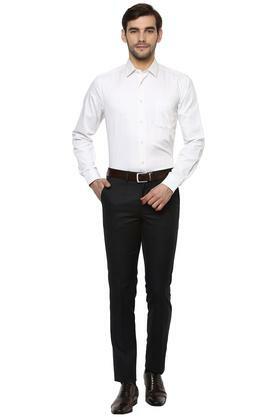 Team it with a shirt and a pair of brogues to complete your formal look.